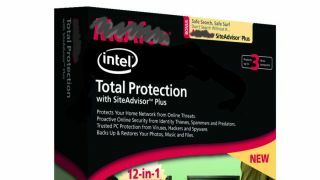 Michael DeCesare, president of Intel Security, has moved to defend his company's McAfee Antivirus software from those who think it is a lame duck against a new generation of viruses. DeCesare, who leads the company formerly known as McAfee, claims that large existing players like Intel would dominate the fast-growing sector. This flies in the face of those who see investors flooding to fund newer companies such as FireEye and Palo Alto Networks. David De Walt, FireEye chief executive who used to head up McAfee, has been vocal about how his company offers a better solution to combat increasingly sophisticated cyber criminals. Of course, he would say that and the AV industry is historically good at slagging each other off. DeCesare however said that McAfee was not close to antivirus being old technology and challenged someone to come up with a company that has de-installed antivirus because they have FireEye. But the fact he is commenting does indicate a big problem for the older security companies like McAfee and Symantec who are getting challenged by younger companies. DeCesare acknowledged that FireEye was doing well but he said it would be interesting to see over time if they are able to keep to that very small area of security. Eventually he thinks that the market will be owned by large companies that does not specialise in cybersecurity such as Intel - which bought McAfee in 2010 - IBM, and Dell. He told the FT that Intel Security will dominate the growing cybersecurity industry by embedding its security on the Intel chips which are used in everything from computers to the nascent 'internet of things', internet-connected devices from fridges to thermostats that are particularly vulnerable to attack. Intel Security is also targeting the nascent privacy market, which has been spurred by the Edward Snowden revelations of a US mass surveillance programme.